Some people choose to celebrate Thanksgiving at home or at the home of friends and relatives. Others travel to Gatlinburg, cook their turkey and fixings away from home, and make it a Gatlinburg vacation. Did you know you don't have to rent a cabin to get access to a kitchen away from home? At Zoder's Inn and Suites, our Tower Suites offer fully-equipped kitchens. That's right. You can cook your turkey right in your suite and eat it, too. Besides, you get a free continental breakfast, something no cabin can boast. Think about all the other amenities at Zoder's Inn Gatlinburg, like the indoor pool and hot tub, milk and cookies, wine and cheese, and close proximity to both nature and downtown. The Tower Suites at Zoder's Inn clearly come ahead as winners. Speaking of winners, this year the Gatlinburg Chamber of Commerce awarded us First Place in the Fall Decoration Contest. Clearly, we strive to offer a special vacation experience here at Zoder's Inn and Suites. This Thanksgiving, choose a hotel Gatlinburg TN is proud of, like Zoder's Inn and Suites. And remember, giving thanks is best done every day, not just once a year. 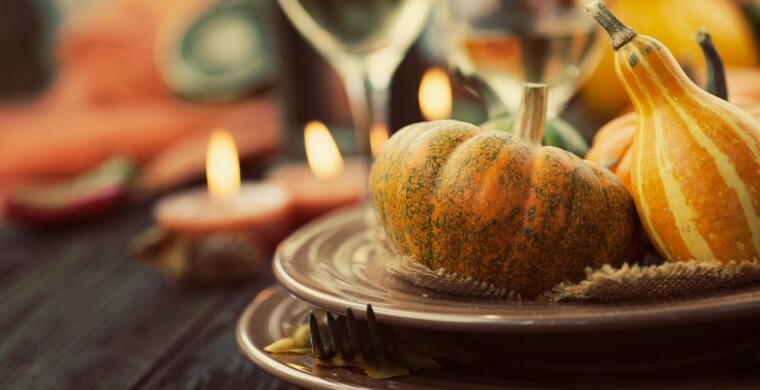 Happy Thanksgiving from all of us at Zoder's Inn and Suites, a Gatlinburg TN hotel!